A pretty pair of earrings from the TEGO range. 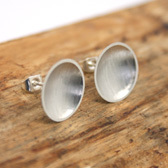 These handmade sterling silver design earrings have a highly polished disc that has an inner lining of brushed sterling silver with a smooth silver edge. 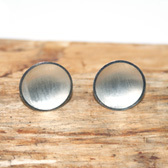 They are stud earrings with butterfly fittings, making them easy-to-wear, comfortable and are suitable for pierced ears. 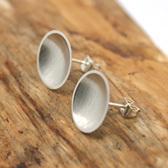 These pretty earrings will enhance any outfit and look equally elegant with evening wear. We have a pendant and chain to match the earrings. 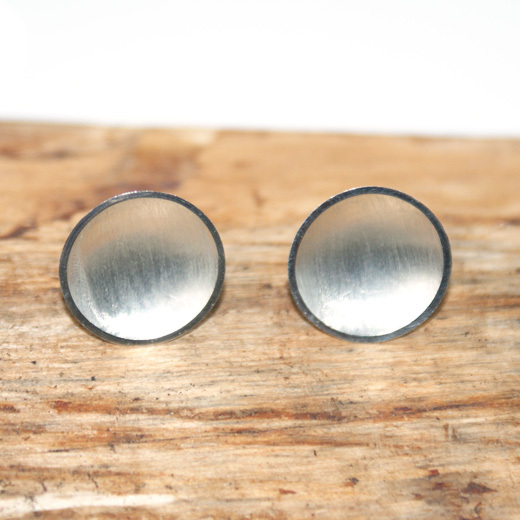 We also have this design of earrings in different sizes on this page. The brand TEGO was founded by famous Mexican Jewellery designer Teresa Gonzalez who creates fashion-forward jewellery with innovative techniques. She is truly a versatile designer who designs and hand crafts in Taxco, Mexico.